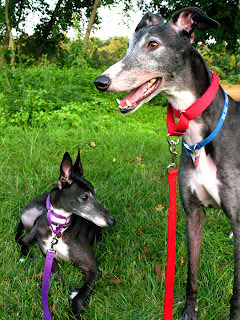 The greys seem unphased by the new environment...they're like, "it's a river, we're used to that". :o) As long as they are happy, that works for me. We had a lovely walk along the river that runs in front of our apartment the other day...and we took advantage of how photogenic our babies are. Enjoy! PA puppies? I think they are RIC puppies. As a girl who grew up in Bethlehem, PA, a short 40 minute trip from Philly, I can tell you that you will end up loving the area. I've moved many times - the last one from LA to Richmond, so that was tough at first - but you will enjoy all that the Philly area has to offer! Hello! Just found your blog. 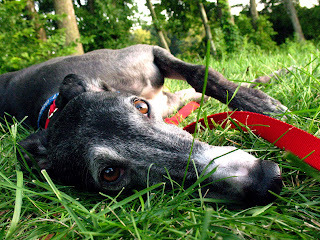 Your hound pictures are great. We used to live in Philly and I miss it very much. 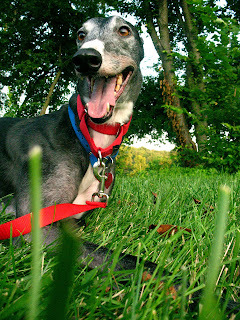 WE have 2 hounds, but my blog is mostly an adoption blog for my daughter. The hounds do make regular appearances though!